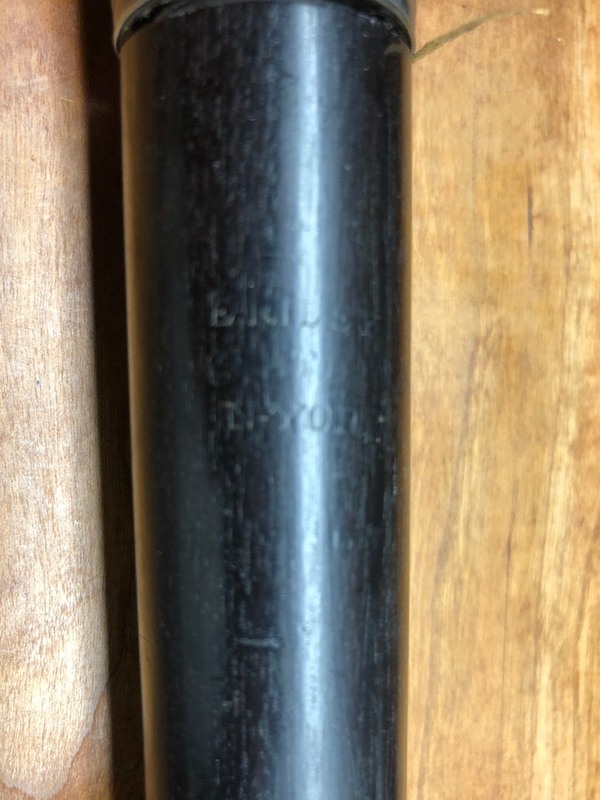 Maker: Edward Riley / 29 Chatham St/ N. York active (1819-1829) Marked “Patented.” Like many flute makers Edward Riley was active in many areas. He was also a music publisher, music engraver, teacher, singer, and dealer. Following his death in 1829 his sons carried one the business until it became J.F. Gould & Co. in 1851. He wrote a treatise on flute playing and a four-volume collection on music entitled “Riley’s Flute Melodies.” His two daughters married John Firth and William Hall, respectively. Notes: missing RH b-flat touch. This flute is quite a bit more complex than what we usually see from Edward Riley. 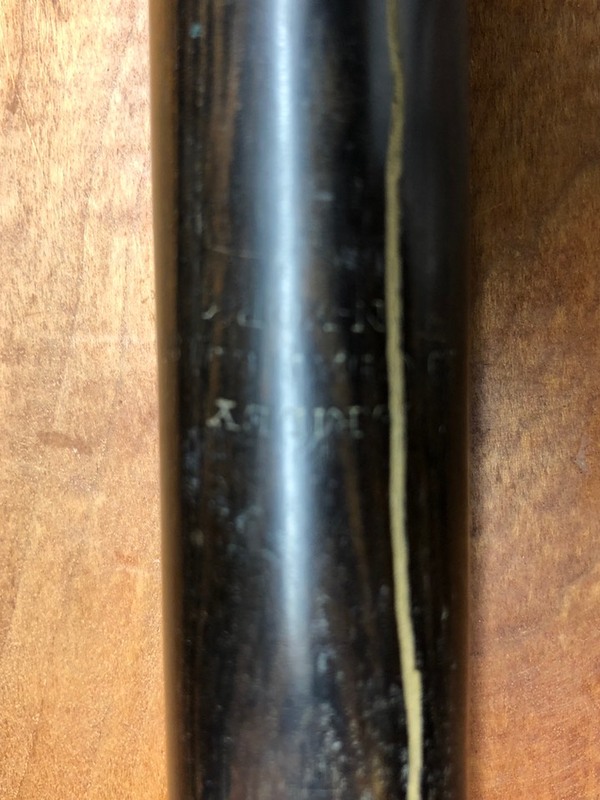 My first assumption was that this flute was imported from England and sold by Riley. 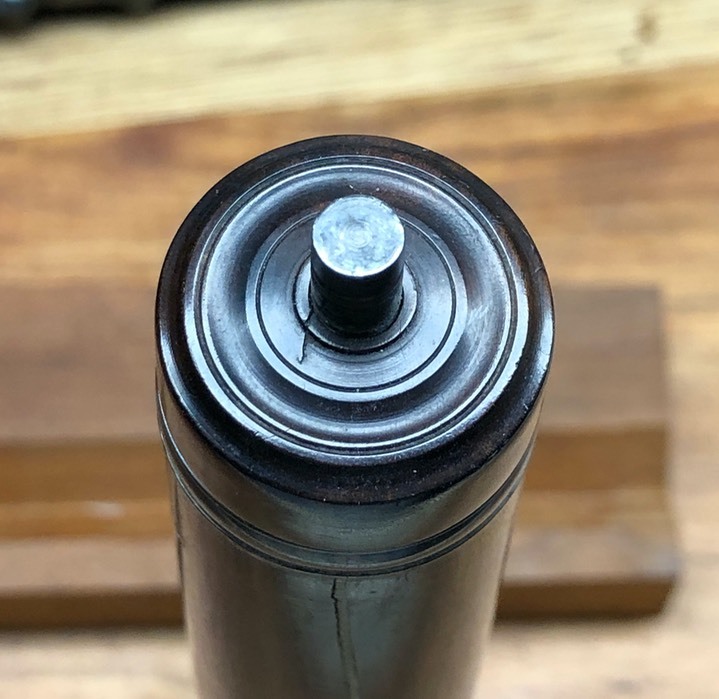 This was a common practice among makers/dealers. 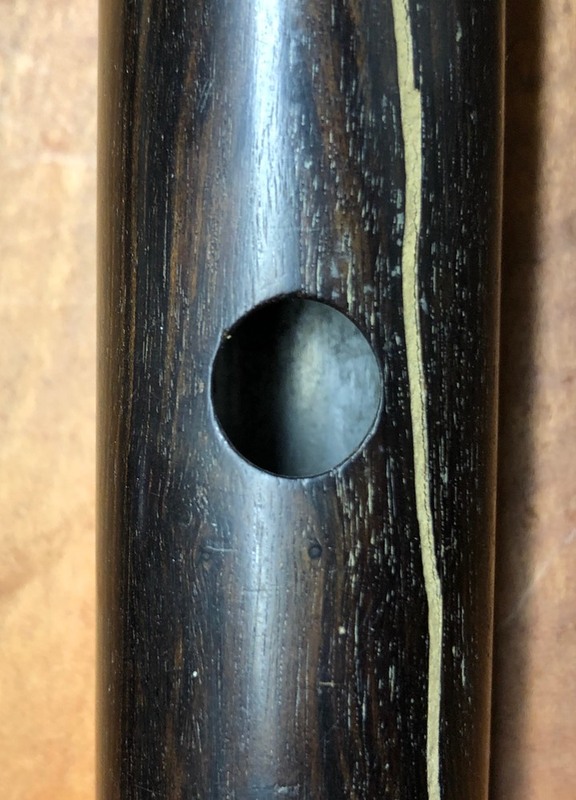 After consulting with a number of English flute authorities and trying to match up characteristics of this flute to various English makers, I now think it was likely made by Riley himself. The instrument is made using salt-spoon keys with “elastic plugs” as pads. 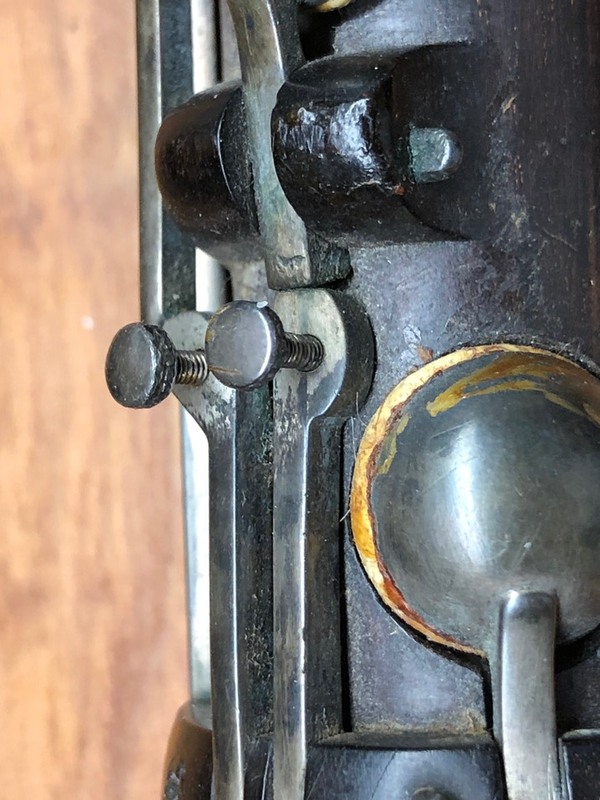 Two unusual features are an alternate LH thumb operated G# and the adjustment screws on the foot for C# and C. The adjustment screws control how far open the C and C# keys are open in their resting position. I suppose this was helpful as the size of elastic plugs could vary quite a bit, some being rather flat and other protruding into the hole.